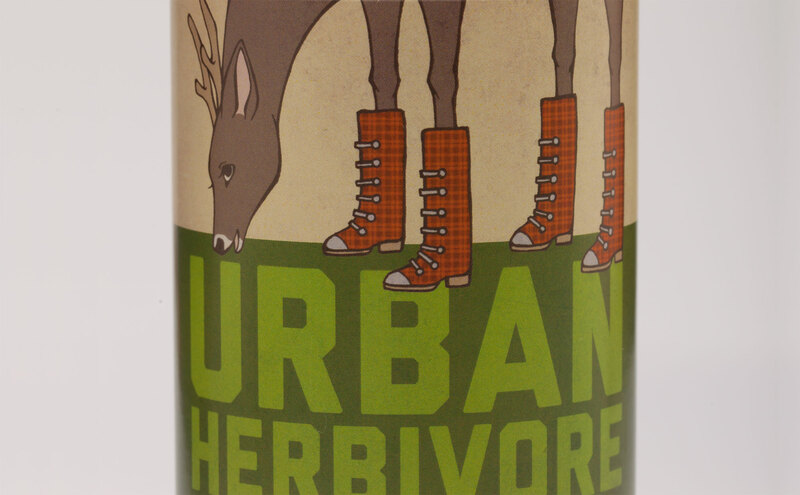 Urban Herbivore is a fictional salad dressing with a name that’s meant to be fun to say! The goal was to capture the essence of the product’s name, so I chose to illustrate an herbivore wearing something urban—a deer with boots. The target consumer was intended to be those who want something lively—both in flavor and packaging—on the shelf, children, and parents of children.